Uzbekistan is a country that is surrounded by land on all sides, making it a vast plane for earthy explorations. 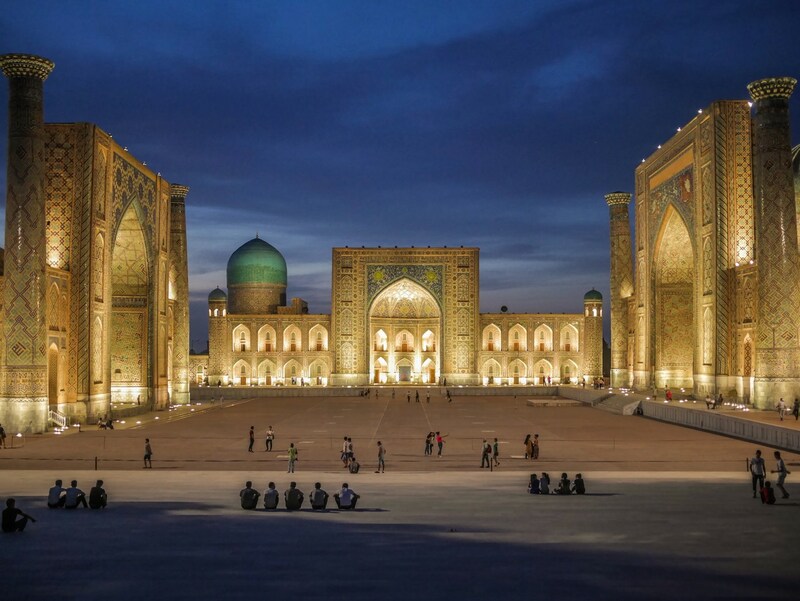 While it lies between the continents of Asia and Europe, it is also located close to the Middle East.Uzbekistan is a melting pot of different cultures and has many languages as well as different customs, with over four thousand majestic monuments to attest to its long, rich and vivid history. With the grip loosened over tourist visa applications, there’s no reason not to consider visiting this country. Here are eight magical sites to check out when stepping on to this land. 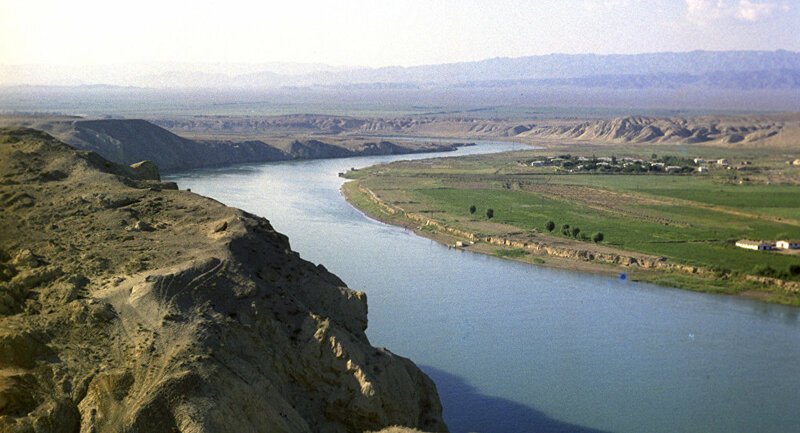 One of the most discerning qualities of Uzbekistan would be its magical Amu Darya and Syr Darya rivers. Thought to be Central Asia’s lifelines once upon a time, the rivers are as long as you can imagine, with the Amu Darya measuring at 2,054 km and the Syr Darya, at 3,019 km. Sourcing from the glazing mountaintops of Kyrgyzstan, Tajikistan, and Afghanistan, both rivers make for a symbol of unity among the different countries. Looking to discover the heart of ancient Uzbek lore? 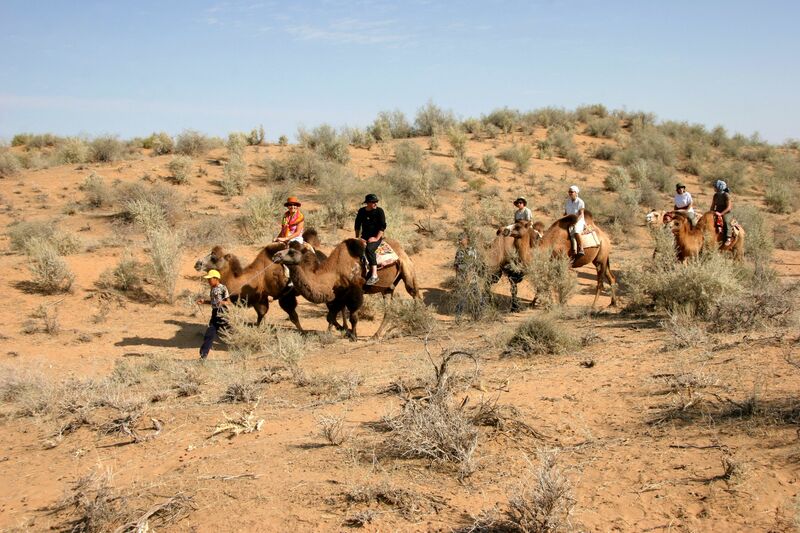 Head on to the Golden Valley, a point said to be where the legendary Silk Road began. It is located at the crossroads of three Central Asian nations, and is presently home to skilled potters and master craftsmen. Here is where you can get amazing woodworks and other tokens of love that speak to your soul. When in Khiva one of the most esteemed dots on the map of Uzbekistan, do make time to visit the Islam Khoja complex. Central to the entire site’s Khorezm architecture is the Mausoleum of Pahlavan Makmud. The beautiful minaret is dedicated to Mahmoud, an enchanting Iranian historical figure known as much for his wrestling victories as for his Sufi philosophy and poetry back in the day (hence the title pahlavan, which means ‘hero’ or ‘champion’). Bukhara, also known as ‘The Holy City’, hosts beautiful monuments built and erected in the past to showcase a collective affinity for oriental architecture. Chief among them is the Great Minaret of the Kalon, the majestic mosque designed by Bako and built in 1127 by much-revered Qarakhanid ruler Arslan Khan. Located in the heart of the city, the grand site was once used as an observation deck, or rotunda, as its 16 arched fenestrations would indicate. Also known as ‘Red Sand’, the Kyzylkum is where you would want to go to spend some time observing stars. With little sources of artificial light around (except for the one you’ll be carrying with you), the stars above will shine in their original glory. When here, don’t forget to check out the nearby Nurata Mountains, a place beautifully hidden from modern civilization. Just make sure that you’re not alone, as the tendency to get lost is high here. When in Tashkent, make some time for the Gulkam Canyon, where you would want to bring out the extreme adventurer in you. The planes of this vast, arid topography is great for seasoned hikers, as there are many steep inclines and declines to provide climbing challenges. When not too busy navigating sharp curves, take a moment to bask in the beauty of the view. Whip out your camera whenever you can, as the rays of the sun at the site can be breathtaking when it hits. Once done and happy with the wild activities that you have spun for yourself, head on to the city of Tashkent to recuperate. Located at the foothills of the Tien Shan mountains, the capital of Uzbekistan is where you can check out the urban life that is a stark contrast to the desert planes that lie outside of it. What you may not already know is that Tashkent is also known as ‘Stone City’ (so many aliases, so little time), due to its history of being the meeting point of various trade routes. Want a discovery of ancient life that predates Jesus Christ himself? Head on to Samarkand, a super old city that has been existing since the first millennium BC (also known as the time of the Iron Age). The first mention of this location can be traced in the early texts of Avesta. It was said that Alexander the Great himself had briefly conquered Samarkand in 329 BC. Fast forward to the present day, and there’s freedom to be found on the streets, and much of wonderment, to be discovered, including but not limited to the Bibi-Khanym Mosque, Gur e-Emir Mosque, and the Afrasiab Museum.